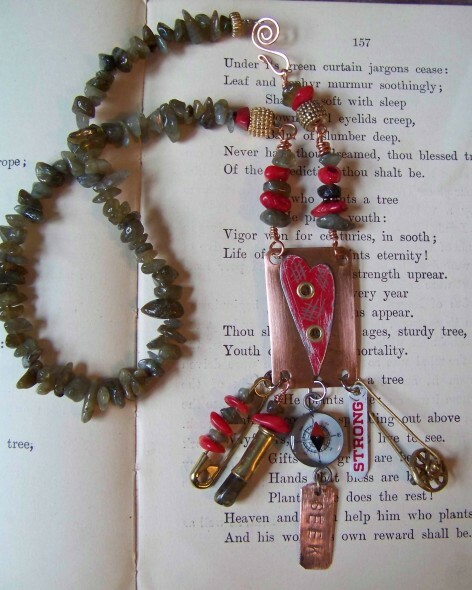 When Steph was visiting, we made a trip to Michaels and picked up a couple of the new jewelry elements from the Objects and Elements collection by Susan Lenart Kazmer. 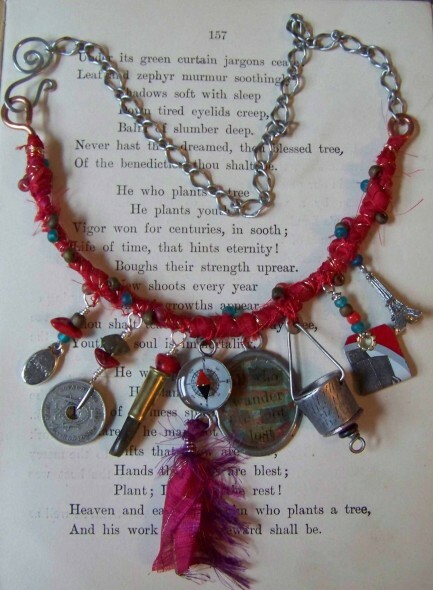 I was inspired to make these two necklaces using a couple of them and then I created my own elements using old tin and images from bottle caps attached to copper using eyelets for rivets. I also like the idea of mixing metals for a more eclectic look. I love this collection, especially the bracelet. It’s a great statement piece, with the varying colors and textures. Great quote at the end. Made me get up and grab the book to read the rest and allowed me a thoughtful moment from the usual humdrum of the workday.